i'm so sorry i haven't posted anything in ages AND still haven't put up the giveaway! i was so busy with school stuff i couldn't do anything else.. but today's the first day of the holidays so i will finish the giveaway today (it's sort of diy) and put it up very soon! promise (seriously, this time). but for now here's some new photos (well they're not new actually, i think they were taken like 5 months ago but whatever). Hell yea, this is a blog I really like! I love the rock'n roll style! I kinda reconize myself in it. amazing look! just in your style! Your blog is so awesome and unique! I like your no bs attitdue ;) Live life to the fullest indeed! OMG, That shorts <3 ! Nice :3 Love the shorts, cool color. 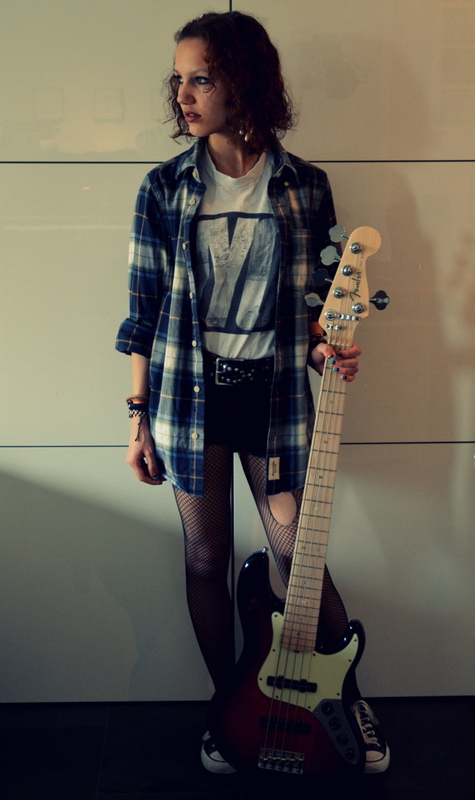 Do ya play bass guitar :)? ohh that blouse is gorgeous!! I love your shorts and the blouse - awesome look! Hi dear, hope school is going well. I really like your cool and very unique rocker style, it speaks volumes in a great and funky way. Those are awesome pair of shorts.Thanks for stopping by...Have a great start to the week! Hi you look so pretty in that pictures! 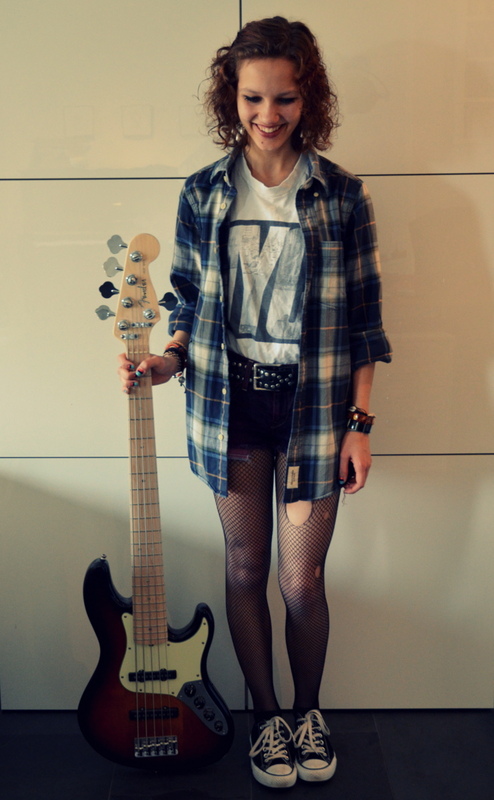 It's so grunge rock chic, i love the outfit! Guitar in the pics are a nice touch! 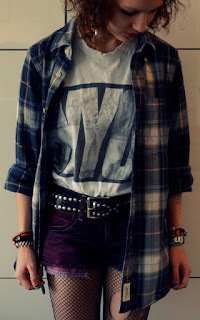 i always love adding a flannel top to an outfit! 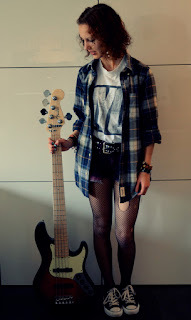 adds the perfect amount of grunge! 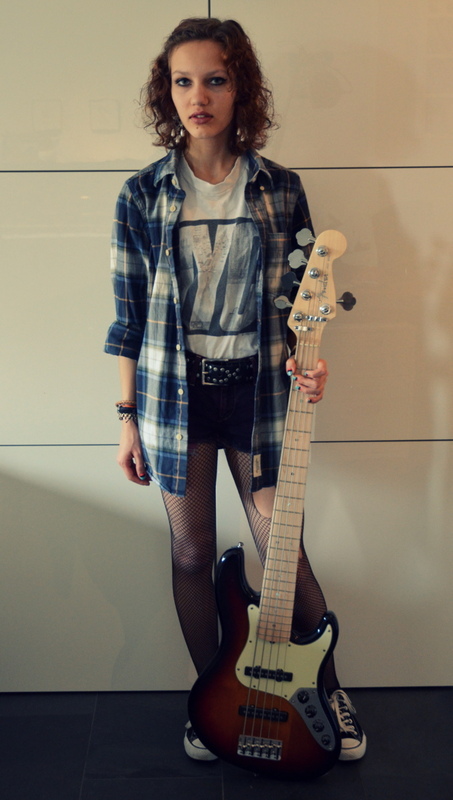 this rock and roll look is awesome! Amazing photos, you look like a real rockstar! a modern day Joan Jett! Love your look!! So cool! 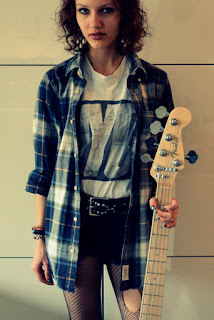 such a cool look! would you like to follow each other in gfc? let me know! I love the outfit! 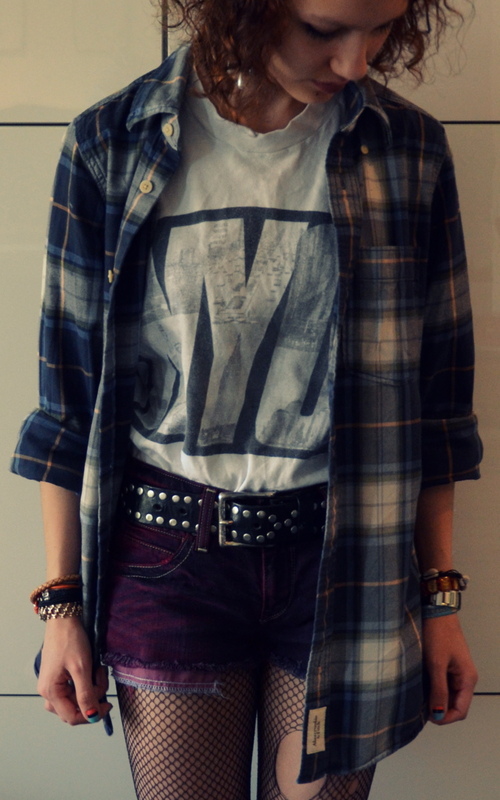 That belt is perfect! And the docs are a nice touch! Thank you so much for the awesome comment! I love everything about this outfit too! Awesome post! I love this so much! I totally understand, school gets in the way of me posting all the time too! :] Nice docs! Thank you so much for your comment! I love your outfit too!